If you are looking for the hottest lighting trends, then you’ll find them at Hortons Home Lighting. Every year, we scour the globe to find the latest trends in lighting fixtures and bring these contemporary lighting styles to you. When you visit one of our locations, you’ll be able to browse cutting edge lighting options. From modern ceiling fans to exclusive crystal lighting, to the newest styles of sconces, pendant lights, track lighting, and lamps, you’ll find what you need to satisfy your contemporary flair. Our lighting experts can help you pick the right fixture, or answer any questions you have about a certain light. Contemporary lighting doesn’t have to be expensive. Our online gallery can help you find that trendy lighting solution that fits your budget. 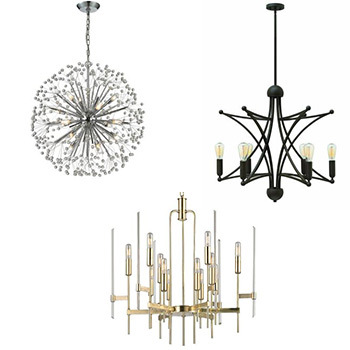 Visit Hortons Lighting Gallery and select your lighting fixture type, your finish, and of course, choose contemporary for your lighting style. We look forward to providing the perfect lighting options for your home or office!